In January of 2017, Portland, Oregon had a 5-day snow shutdown. It snows here rarely and we all stay in when it does. To deal with cabin fever on the third day, I rooted around in my art closet and found a needlepoint pillow kit that I had bought in 2007. I went online, figured out how to do a simple stitch, and got hooked! I did several kits and then began to create my own art deco designs. Each pillow is one of a kind, and most have a few metallic threads that make them sparkle. The pillows are professionally finished with corded edges (by someone who sews a lot better than I do!) with corded edges and backed in luscious velour with a hidden zipper. They make beautiful gifts. 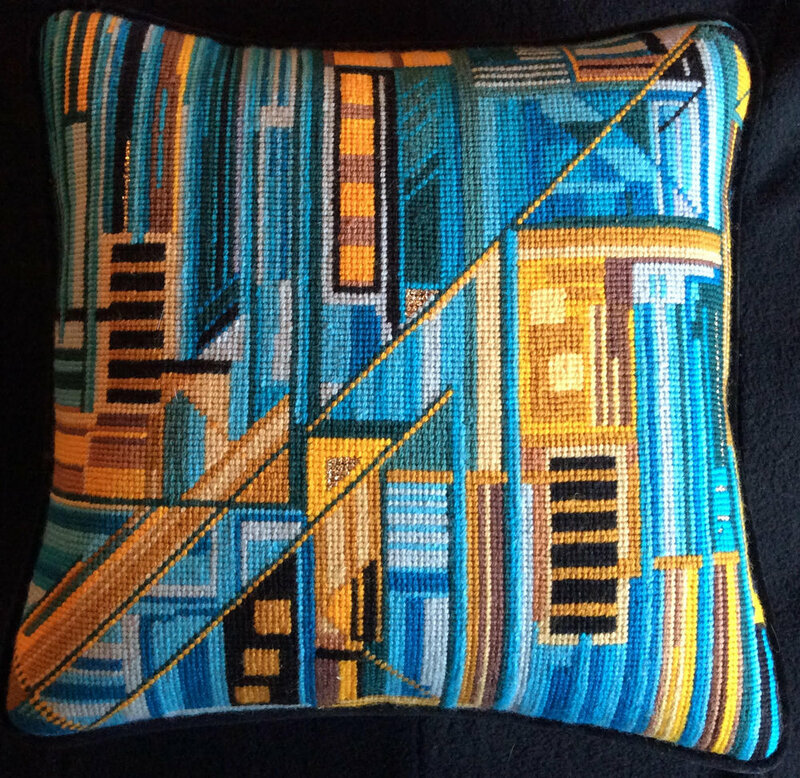 Pillows are 12x12 or 14x14 and sell for $165 plus shipping. Custom color combinations are also available. Email me for more information or to purchase (see link below).